Preventing Surface Bubbles in Mod PodgeI sprayed Mod Podge hi gloss sealer to finish a project. They were already sealed with Mod Podge hard coat prior. The spray caused tiny bubbles all over the surface. Ahhh! What did I do wrong? Decoupaging Photos Onto GlassCan I ModPodge regular glossy finish photographs onto glass? Will it stick? Or do I need to use "paper" photos? Using Mod Podge for Decals on Painted Wood SurfaceI want to place decals on a painted wood surface. Will the mod podge recipe work and be clear when dry so the decal will not show cloudiness? Decoupaging a Photo Onto GlassI want to decoupage a professional photo on to an old glass window. The window is cracked in places. What is the best way to do this? What supplies do I need? Which kind of mod podge (or other medium) should I use? Making a Decorative Magnetic Refrigerator CoverI have a great fabric image and I want to try to make a refrigerator cover out if it. Can I decoupage it to a big sheet of magnetic material and will this work? Painting and Decoupaging Glass JarsThis is the first time for me to do mod podge on old pickle jars. Please help. 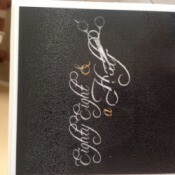 Sealing Paper Design on WoodWhat is the best sealer to use on a piece of paper glued to a piece of wood. I don't want to ruin the pictures I am putting on the wood. Mod Podge Fabric on GlassI Mod Podged fabric on a glass plate using the dishwasher safe Mod Podge formula and the back of the plate is rough to the touch. What can I use to seal it or make it smooth without sanding it? Any ideas? Using Modge Podge on Canning JarsCan I use Modge podge to glue paper on the outside of a mason jar? The jar is not smooth. It has the Ball name on the side. Using Mod Podge on GlassI am trying to attach a stained glass decal to my glass window. It will not stick because the window has a texture to it. Can I use mod podge on the window first to get it to stick? Decoupaging a Napkin on Glass GlassI decoupaged a napkin on glass and it isn't showing through the way I would have liked. It's very light and faint looking. Should I have painted the glass first? Decoupaging Labels Onto Spice JarsI am working on some spice jars, and they are glass. I have printed out some labels I have designed and was wondering if mod podge will work for this, so when they need washing I can wash the jars. If so how do you recommend that I do this? Mod Podge Not Drying ClearI'm new to mod podge with this being my 1st project. I did lots of research and watched videos. My project was to mod podge a photo to wood. It looked easy enough. My problem is it doesn't seem to drying clear like it should. Decoupaging a Napkin on FabricIf I decoupage a napkin onto a table cloth, how can I seal it so that it can be washed without coming off? Any advice would be appreciated. Decoupaging Baseball Cards to a TabletopI am trying to layer mod podge over collector baseball cards on a table. Do the layers ever dry hard enough to actually use the table? The bottle says wait 20 minutes. I've been waiting more than an hour. Using Modge Podge on GlassIf I used Modge Podge to apply a label to glass, would it dry clear? And would you be able to tell where the Modge Podge was applied? Making Mod PodgeHow do I make Mod Podge with South African products? Using Fabric Glue for DecoupageCan you use fabric glue for decoupage? Sealing Glitter on Glass with Modge PodgeWhen using the spray to seal the glitter on the glass, it doesn't dry clear. It makes the glass look frosted. How do I keep the glass from looking like that? Using Mod Podge on GlassCan I use Mod Podge to stick fabric to my glass top table? Mod Podge on GlassOkay, I have never used Mod Podge, but I constantly see the name when searching crafts. My question is, can it be used to transfer a saying onto a glass, such as a wine glass from Wall-Mart? Decoupaging Fabric on Glass PlatesI am just starting to make fabric covered glass plates and am having a situation where the Mod Podge medium still shows white areas (streaky) mostly on the color black. Does anyone have a fix for this or an idea why this is happening? Decoupage FinishesIf I use the Elmer's glue as a sealer after gluing the print on, can I put a sealer like lacquer on the glue sealer? I need something water resistant. Cardboard Tube CraftsI'm into crafting and have been saving a lot of cardboard tubes (from toilet paper sized, to paper towels, to even gift wrapping paper tubes). My question now is, what sorts of craft projects can I do with it? Using Mod Podge on GlassI have used Mod Podge on glass to put an image on the back of it. No matter how hard I press I see some tiny bubbles and it's milky when dry. I'm trying to make pendants with domes, but if this Mod Podge is going to be milky looking then the stuff is not good for what I"m doing. Any suggestions? Decoupaging Old Metal TV TraysI have some old metal TV trays that I want to refurbish. What are the steps that I should take to prepare them to be decoupaged? Putting a Photo on a Ceramic MugIs there a way to affix a glossy photo to a ceramic coffee mug? I tried Mod Podge, but even after 12 hours, 1/2 the photo peeled off. Thanks for any suggestions! Decoupaging PlatesCan I decoupage over a stained Corelle dinner plate? It is stained and scratched, but is it too slick/smooth to decoupage with my pictures? Decoupage Surface CoatingYears ago there was a product you applied to the front of a thick item to decoupage, then when dried, you could wet and rub off the back, making the item plastic like and thinner to decoupage. Do you know if anything like this is still available? Thanks. What is Decoupage?What is decoupage? Decoupage Glue RecipeWhat is the water to glue ratio to make decoupage glue, and can I use this recipe on fabric to tin and plastic? Decoupaging Cabinet DoorsI will be decoupaging unfinished cabinet doors with a large poster. Should I prime and paint first, then glue on the poster or should I glue the poster on the bare wood first? Using River Rocks to Make Employee Appreciation GiftsI bought a bag of river rocks. They are smooth. I'd like some ideas for making them into something for an Employee Appreciation Day we are having. I think I'd like something simple or decoupaged to enhance morale, as well as, saying "thank you" to each employee. Collage Pictures Peeling off Old DresserI made a collage out of an old dresser and put a polyurethane layer over it, but some of the pictures are peeling. How do I fix it? How Do I Decoupage a Plain Glass Plate?Does anyone know the instructions on how to decoupage a plain glass plate? What materials will I need?Thanks. Making a Decoupage Tile Heat ResistantI am attempting to make a teapot stand using a white square tile and a picture (of the Mad Hatter's Tea party) I downloaded from Google images. I glued the picture to the tile with PVC glue that dries clear and when dry I painted on another coat to protect the picture. Decoupaging on GlassHow can I avoid colors running when decoupaging on glass? Decoupage PinsI am looking for decoupage pin directions. I saw a posting on the internet. Making Decoupage JewelryI want the simple directions on how to make decoupage jewelry like ladies' lapel pins. I can't find these instructions. Using Mod Podge on GlassI am trying to put fabric onto the back of glass plates using mod podge but when it dries I get streaks across the glass. How do I stop this streaking? Thank you. How To DecoupageHow do you decoupage? Decoupaging Canvas TotesI have canvas tote bags and would like to decoupage cut outs from a magazine on them. Does anyone know if, and how to, decoupage paper on to fabric? Is there a recipe that I can make for the "glue" other than buying Mod Podge? Decoupaging a Formica CountertopCan you decoupage over Formica countertops? Decoupaging a MugI want to put decoupage onto a plain drinking mug and would like some help and advice. I need to know the mug will be both heatproof and waterproof. 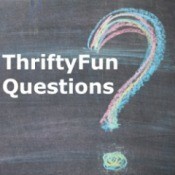 I am sure that somewhere on the ThriftyFun site or someone that reads it may be able to help. Decoupaging VinylCan you decoupage vinyl? I would like to decoupage a vinyl cloth to a board to use as an outdoor wall hanging. Is this possible? What products would I need to use? Using Original Pictures For DecoupageWhy can't I use the original picture instead of making a copy to decoupage to a table? Decoupaging Over DecoupageDo I really have to remove old decoupage before putting on new? Decoupaging Pictures on Wooden TableI would like to decoupage pictures of my great-grandkids to the top of my coffee table. My question: how do I prep the table before I begin? It has years of spray polish built up and I'm sure that needs to go. Anything else? Products Used for DecoupageI would like to know if you have to use Mog Pog or is there a way to decoupage cheaper just for practice? Decoupaging Fabric To GlassDoes anyone know how to decoupage fabric to a glass block light? Decoupage With Newspaper ClippingsI'm going to be decoupaging a cheap old table with newspaper clippings. I'm concerned that the reverse of each clipping might show through once I have decoupaged them to the table. Inexpensive Substitute for Gesso I would like to do some de'coupage. Gesso is really expensive. Does anyone have an inexpensive substitute? Glue For Napkin Glass CraftsI have been doing paper napkin crafts on glass for about 4 years off and on since A.C. Moore (a local craft store) came to Maine. I was just wondering what I could use other than using Mod Podge to put the nakins on the glass. Decoupage Newspapers on a WallI am embarking on a huge collage project, with hundreds of newspaper pictures. I have 3 questions. Is there a substance (like varnish or polyurethene) that I can use instead of decoupage medium. For the size of my project I would spend a fortune on mod podge, and am looking for an alternative. Decoupaging Pictures on a Formica TableI have a round formica patio table that I would like to put some of our vacation pictures on. It will be used outside. Can anyone tell me how to sand or how to glue the pictures on and what to use on top to be able to use it outside?